Arrowverse is a shared fictional universe that is centered on various television series airing on The CW and web series airing on CW Seed based on characters appearing in publications by DC Comics. The Arrowverse stars Stephen Amell as Oliver Queen / Green Arrow, Grant Gustin as Barry Allen / Flash, Melissa Benoist as Kara Danvers / Supergirl, Megalyn Echikunwoke as Mari Jiwe McCabe / Vixen, with an ensemble cast leading Legends of Tomorrow, including Arthur Darvill as Rip Hunter, Caity Lotz as Sara Lance / White Canary, Brandon Routh as Ray Palmer / Atom, Dominic Purcell as Mick Rory / Heat Wave, with Victor Garber and Franz Drameh as Martin Stein & Jefferson “Jax” Jackson / Firestorm. Russell Tovey stars as Ray Terrill / The Ray. 3rd – 4th seasons – UGGHH I don’t want to watch this. Some of the plots are a little weak, but I think this is my favorite of the ArrowVerse. At 12 years old, Kara Zor-El escapes doom on planet Krypton to find protection on Earth with the Danver family, where she grows up in the shadow of her foster sister, Alex, and learns to hide the extraordinary powers she shares with her cousin, Superman. Now an adult living in National City and working for media mogul Cat Grant, Kara finds her days of keeping her abilities a secret are over when super-secret agency head Hank Henshaw enlists her to help protect the city’s citizens from threats. Finally coming into her own, Kara must juggle her new responsibilities with her very human relationships. Some people find this cheesy – and season 1 is pretty cheesy but this show is super fun. Its part of the Arrowverse, but on an Alternate Earth. A super great show – though I called Rip “Rory” the entire first season. You need to watch Arrow and Flash before this though, as it uses a lot of background characters from both. Each of these four shows have a “crossover event” each season, so watching all of them is helpful. Demon hunter and master of the occult John Constantine figured there was no longer any point in fighting the good fight since his soul belongs to the netherworld, but when demons target the daughter of one of his closest friends, Liv, he reluctantly rejoins the battle. It turns out that Liv has second sight, an ability to see other worlds and predict supernatural occurrences, a power that makes her a threat to the new evil rising from the shadows. She and Constantine take their combined skills on the road, traveling the country to find demons and send them back to hell. Though not intended as part of the ArrowVerse, characters (with the same actors reprising their roles) appear in Arrow and Legends of Tomorrow. An interpretation of the Superman story features young Clark Kent coming to grips with his emerging superpowers. He must hide his abilities from his friends, including Lana Lang, the girl of his dreams, and Lex Luthor, who will one day become Superman’s nemesis. Complicating matters is the presence of kryptonite throughout Smallville, which causes strange mutations in locals and cripples Clark. Between Jimmy’s lecture to Kara in warning her away from Lena that “Clark and Lex were best friends once too.” and Midvale’s direct acknowledgement of Chloe Sullivan (who was a characters created for Smallville), while Smallville is not directly confirmed a part of Arrowverse, it feels like it could be, especially since Supergirl is an alternate earth to the other Arrowverse shows, so Smallville’s origin of characters doesn’t clash with the Arrowverse counterparts. Based on the DC Comics character, Vixen follows the story of Mari McCabe, orphaned at a young age, as she tries to find meaning in her life. Mari finds meaning through an inherited mystical Tantu Totem that allows her to mimic the abilities of any animal that has ever lived on Earth. As part of the “Arrowverse,” Mari’s life continually crosses paths with Green Arrow, the Flash, Black Canary, Atom, and many others as she learns to use and control her powers in her quest to stop threats like those that claimed her family. Freedom Fighters: The Ray is an American animated web series developed by Greg Berlanti and Marc Guggenheim. Stan Lee (born Stanley Martin Lieber, December 28, 1922) is an American comic-book writer, editor, film executive producer, actor, and publisher. He was formerly editor-in-chief of Marvel Comics, and later its publisher and chairman before leaving the company to become its chairman emeritus, as well as a member of the editorial board. In collaboration with several artists, including Jack Kirby and Steve Ditko, he co-created fictional characters including Spider-Man, the Hulk, Doctor Strange, the Fantastic Four, Daredevil, Black Panther, the X-Men, and, with the addition of co-writer Larry Lieber, the characters Ant-Man, Iron Man and Thor. In addition, he challenged the comics industry’s censorship organization, the Comics Code Authority, indirectly leading to it updating its policies. Lee subsequently led the expansion of Marvel Comics from a small division of a publishing house to a large multimedia corporation. Jack Kirby (born Jacob Kurtzberg; August 28, 1917 – February 6, 1994) was an American comic book artist, writer, and editor, widely regarded as one of the medium’s major innovators and one of its most prolific and influential creators. In 1940, he and writer-editor Joe Simon created the highly successful superhero character Captain America for Timely Comics, predecessor of Marvel Comics. During the 1940s, Kirby, regularly teamed with Simon, creating numerous characters for that company and for National Comics Publications, later to become DC Comics. In the 1960s, Kirby and writer-editor Stan Lee co-created many of the company’s major characters, including the Fantastic Four, the X-Men, and the Hulk. The Lee–Kirby titles garnered high sales and critical acclaim, but in 1970, feeling he had been treated unfairly, largely in the realm of authorship credit and creators’ rights, Kirby left the company for rival DC. Stephen J. Ditko (November 2, 1927 – June 29, 2018) was an American comics artist and writer best known as the artist and co-creator, with Stan Lee, of the Marvel Comics superheroes Spider-Man and Doctor Strange. Ditko studied under Batman artist Jerry Robinson at the Cartoonist and Illustrators School in New York City. He began his professional career in 1953, working in the studio of Joe Simon and Jack Kirby, beginning as an inker and coming under the influence of artist Mort Meskin. In 1966, after being the exclusive artist on The Amazing Spider-Man and the “Doctor Strange” feature in Strange Tales, Ditko left Marvel for reasons he never specified. Peter Allen David (born September 23, 1956) often abbreviated PAD, is an American writer of comic books, novels, television, films and video games. His notable comic book work includes an award-winning 12-year run on The Incredible Hulk, as well as runs on Aquaman, Young Justice, Supergirl, Fallen Angel, Spider-Man 2099 and X-Factor. His Star Trek work includes both comic books and novels such as Imzadi, and co-creating the New Frontier series. His other novels include film adaptations, media tie-ins, and original works, such as the Apropos of Nothing and Knight Life series. His television work includes series such as Babylon 5, Young Justice, Ben 10: Alien Force and Nickelodeon’s Space Cases, which he co-created with Bill Mumy. David often jokingly describes his occupation as “Writer of Stuff”, and is noted for his prolific writing, characterized by its mingling of real-world issues with humor and references to popular culture, as well as elements of metafiction and self-reference. The Incredible Hulk, Del Rey, 2008. Spider-Man 2, Del Rey, 2004. Spider-Man 3, Del Rey, 2007. Iron Man, Del Rey, 2008. DC vs. Marvel Comics (with Ron Marz, Dan Jurgens, Claudio Castellini), DC Comics, 1996. “One Fateful Knight” in the anthology Short Trips: The Quality of Leadership, Big Finish Productions, 2008. Future Imperfect (with George Pérez), Marvel Comics, 1994. Collects Incredible Hulk: Future Imperfect #1–2 (1992). Ghost of the Past (with Dale Keown), Marvel Comics, 1997. Collects Incredible Hulk #397–400 (1992). Tempest Fugit (with Lee Weeks), Marvel Comics, 2005. Collects Incredible Hulk Vol. 2 #77–82 (2005). Many Happy Returns (written with Ed Benes), DC Comics, 2003. MadroX: Multiple Choice (with Pablo Raimondi), Marvel Comics, 2005. Young Justice #1–7, 9–21, 23–55, & 1,000,000 DC Comics, 1998–2003. Young Justice: A League of Their Own (with Todd Nauck), DC Comics, 2000. The Trial of James T. Kirk (Star Trek Comics Classics trade paperback, reprint of DC Comics issues, with James W. Fry and Gordon Purcell), Titan Books, 2006. Worf’s First Adventure, Simon & Schuster, 1993. Line of Fire, Simon & Schuster, 1993. Starfleet Academy—Survival, Simon & Schuster, 1994. House of Cards, Pocket Books, 1997. Into the Void, Pocket Books, 1997. The Two Front War, Pocket Books, 1997. End Game, Pocket Books, 1997. Fire on High, Pocket Books, 1998. Star Trek: New Frontier (collection), Pocket Books, 1998. The Quiet Place, Pocket Books, 1999. Dark Allies, Pocket Books, 1999. Double Time (graphic novel), DC Comics, 2000. Excalibur, Book 1: Requiem, Pocket Books, 2000. Excalibur, Book 2: Renaissance, Pocket Books, 2000. Excalibur, Book 3: Restoration, Pocket Books, 2001. Being Human, Pocket Books, 2001. Gods Above, Pocket Books, 2003. Stone and Anvil, Pocket Books, 2004. After the Fall, Pocket Books, 2004. Missing in Action, Pocket Books, 2006. Blind Man’s Bluff, Gallery Books, 2011. The Returned: Part 1, Pocket Books, 2015. The Returned: Part 2, Pocket Books, 2015. The Returned: Part 3, Pocket Books, 2015. Beam Me Up, Scotty (co-author, autobiography of James Doohan), 1996. Ed Brubaker (born November 17, 1966) is an American comic book writer and cartoonist. Brubaker’s first early comics work was primarily in the crime fiction genre with works such as Lowlife, The Fall, Sandman Presents: Dead Boy Detectives and Scene of the Crime. He later became known for writing superhero comics such as Batman, Daredevil, Captain America, Catwoman, Uncanny X-Men, and The Authority. He has won an Eisner Award on six separate occasions. Frank Miller (born January 27, 1957) is an American comic book writer, novelist, inker, screenwriter, film director, and producer best known for his comic book stories and graphic novels such as Ronin, Daredevil: Born Again, The Dark Knight Returns, Sin City, and 300. He created the comic book characters Elektra for Marvel Comics’ Daredevil series, and a female version of the Robin character, Carrie Kelley, for DC Comics. Neil Richard MacKinnon Gaiman (born Neil Richard Gaiman, 10 November 1960) is an English author of short fiction, novels, comic books, graphic novels, audio theatre, and films. His works include the comic book series The Sandman and novels Stardust, American Gods, Coraline, and The Graveyard Book. Brian Michael Bendis (born August 18, 1967) is an American comic book writer and artist. With Bill Jemas and Mark Millar, Bendis was the primary architect of the Ultimate Marvel Universe, launching Ultimate Spider-Man in 2000. He relaunched the Avengers franchise with New Avengers in 2004, and has also written the Marvel “event” storylines “Secret War” (2004–2005), “House of M” (2005), “Secret Invasion” (2008), “Siege” (2010) and “Age of Ultron” (2013). Brian Keller Vaughan (born July 17, 1976) is an American comic book and television writer, best known for the comic book series Y: The Last Man, Ex Machina, Runaways, Pride of Baghdad, Saga, and, most recently, Paper Girls. Frequently described as the best graphic novel writer in history, he has been widely recognized by his peers and by critics. He worked on major characters such as Batman (Batman: The Killing Joke) and Superman (Whatever Happened to the Man of Tomorrow? ), substantially developed the character Swamp Thing, and penned original titles such as Watchmen. In 2009, Whatever Happened to the Man of Tomorrow? was reprinted in a Deluxe Edition HC, which also contains “For the Man Who Has Everything” and “The Jungle Line”. This is a lot of fun as a concept and in practice. A great show, and I love tiny Bruce Wayne. CW and Greg Berlanti expand the footprint of their DC Comics universe with this exploration of the intersection between family life and being a superhero. As a younger man, Jefferson Pierce donned the suit of a vigilante and protected the streets of his city, but he believed he’d left those days in the past. He learns that life doesn’t always work out as planned when his daughter, Jennifer — a star student who is determined to achieve justice at any cost — gets recruited by a street gang. In order to protect his family, Jefferson sees no choice but to once again become Black Lightning. This show, as a CW show, gets mistaken for an Arrowverse show, but it isn’t according to any official information. It is a great show though. 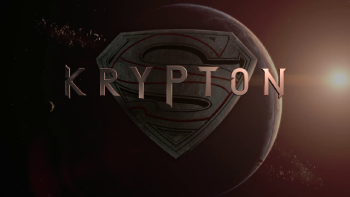 Years before the destruction of the legendary Man of Steel’s home planet, Superman’s grandfather, Seg-El, fights to redeem his family’s honor after the House of El is ostracized and shamed over Seg’s grandfather’s false claims of a world-killer coming to Krypton. When an attack on the government is attempted, Seg seizes an opportunity to advance himself and his family by allying with those who sentenced his grandfather to execution and destroyed his family’s name but when evidence that his grandfather’s claims were true is discovered, Seg must work within the system that discarded the House of El in order to protect their future legacy. Emily Locke lands her dream job as director of research and development for Wayne Security in Charm City, home to superheroes, super villains and everyday citizens fed up with the collateral damage of their constant super fighting. Full of confidence and big ideas about how to make life safer for the populace, Emily quickly learns that her aspirations far exceed those of her new boss and officemates, so it is up to her to lead the team toward its full potential and the realization that you don’t need superpowers to be a hero. Based on characters created by Neil Gaiman, Sam Kieth and Mike Dringenberg, this series follows Lucifer, the original fallen angel, who has become dissatisfied with his life in hell. After abandoning his throne and retiring to Los Angeles, Lucifer indulges in his favorite things (women, wine and song) — until a murder takes place outside of his upscale nightclub. For the first time in billions of years, the murder awakens something unfamiliar in Lucifer’s soul that is eerily similar to compassion and sympathy. Lucifer is faced with another surprise when he meets an intriguing homicide detective named Chloe, who appears to possess an inherent goodness — unlike the worst of humanity, to which he is accustomed. Suddenly, Lucifer starts to wonder if there is hope for his soul. Leading the Teen Titans to protect Earth is Robin, formerly Batman’s sidekick. He has no special powers, just a utility belt and his mind to help solve problems. His team members Starfire, Raven, Cyborg, and Beast Boy live together in Teen Tower, and each of them has supernatural abilities to fight a new generation of villains. This is one of my favorite shows of all time and I’m forever bitter it was cancelled. They are bringing back Young Justice, maybe we can get them to bring back Teen Titans? Sent back in time from the 31st century to protect the United Planets, a team of teenage super heroes accidentally travels too far back. The Legion of Super Heroes enlists teenaged Superman who is unsure of what to do with his future to help them fight evil. Lightning Lad, Saturn Girl, Brainiac 5, Phantom Girl, Bouncing Boy and Timber Wolf face adventurous challenges together while teaching the young Superboy how to be a hero. This animated adventure series of Bruce Wayne — billionaire by day, crime fighter by night — starts as Wayne balances life as a free-wheeling bachelor with his role as the Caped Crusader. He’s joined on occasion by Robin and Batgirl. Black Mask, Killer Moth, the Everywhere Man and a brand-new Clayface join the Joker, Penguin and Riddler in ceaselessly tormenting Gotham City. Can Batman stop them once and for all? 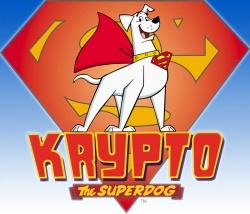 Krypto was Superman’s pet puppy on Krypton before being sent into space before the planet was destroyed. Upon landing on Earth he is a fully grown dog who has similar abilities to those of Superman. Krypto is adopted by 9-year-old Kevin Whitney, whose family thinks Krypto is an ordinary Labrador retriever. But the canine dons the secret identity “Superdog” when he performs heroic deeds and fights evil. Other than Kevin, the only person who knows Krypto’s secret is bratty cousin Bailey, who lies so often that nobody believes his talk about the dog’s powers. I watched this so much as a kid, and I still know the theme song to this day. The caped crusader teams up with several other DC Comics heroes for new adventures based on the comic book series `The Brave and the Bold’. The Man of Steel (Tim Daly) must save Lois Lane (Dana Delany) after Lex Luthor (Powers Boothe) forms an alliance with a powerful foe. This was so much that it has its own whole post. There, I gave my (short) thoughts and synopsis of each movie. Season 3 is called Young Justice: Outsiders, will be 26 episodes, coming early 2019 on the DC streaming service. 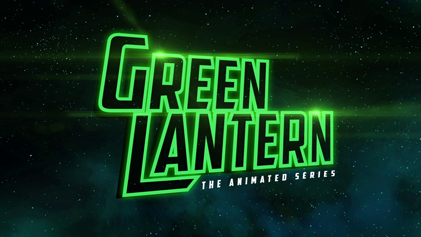 This animated programme that follows the adventures of popular DC Comics character Green Lantern features Earth’s Green Lantern, Hal Jordan, and partner Kilowog as they find themselves alone on the edge of Guardian Frontier fighting off an invasion by the deadly Red Lantern Corps. The Red Lanterns, powered by pure rage, have sworn to destroy the Green Lantern Corps and everything it stands for. Hal, dispatched on an experimental spacecraft, is soon joined by a new group of heroes on a mission to protect Guardian Frontier – and the Green Lantern Corps itself. This follow-up to the popular “Teen Titans” series takes a more comedic look at the superheroes, showing what life is like for the teens when their capes come off. Funny things happen to Robin, Starfire, Raven, Beast Boy and Cyborg between saving the world and being regular teens, living together without adult supervision. The teens, in their ordinary lives, deal with the everyday issues of adolescence that include such important things as having staring contests to determine who does the laundry and going on a series of quests to construct the perfect sandwich. But, of course, the heroes still fight crime in Jump City when the need arises. Whatever the situation, they’re always ready for an adventure — inside the house or out of it. Kind of fun, even though its very very much for younger kids. Not as good as the original, but there are some good episodes (though there are also a lot of bad ones). The Movie looks promising though, and has some great reviews. This take on the classic comic book franchise mixes familiar characters with new villains not previously seen in animated form. As usual, Batman tries to rid Gotham City of evil, but he’s not doing it alone. Assisting the Caped Crusader are retired MI-6 operative Alfred Pennyworth, who also serves as the superhero’s butler, and lethal swordswoman Tatsu “Katana” Yamashiro. Among the villains who lead Gotham City’s criminal underworld that Batman and his crew battle are Anarky, Professor Pyg, Mister Toad and Magpie. I literally cannot find anything about this show online, only the mini-figures. Which probably says everything you need to know. Batman, Superman and Wonder Woman lead a group of superheroes, the Justice League, into action in this animated series. The heroes must battle enemies that include space invaders and bizarre forces of magic as they try to defend Earth from the supervillains intent on destroying the planet. The heroes are up for any challenge as they embark on thrilling adventures. `Justice League Action’ is part of the popular DC Universe of comic-book characters. Will debut sometime late 2018, early 2019. I’m excited, the comics are really fun. The DC Universe Animated Original Movies (also known as DC Universe Original Movies) are direct-to-video film projects being created by Warner Premiere, Warner Bros. Animation, and DC Comics. These more recent movie projects have also included many of the voice actors who worked on previous DC animated series and films. The film series was launched in 2007. These movies are fairly consistently considered better movies than the current DCEU (DC Extended Universe) that has been coming out in theaters. Unlike earlier animated DC films (most of which also involved Bruce Timm and were part of the DC animated universe), the films in the line are aimed at a more adult audience, often containing profane language, stronger violence, sexual scenes and more mature themes. The artstyles for the films are also generally more realistically proportionate. The majority of the films are rated PG-13 by the MPAA with the exception of All-Star Superman and Green Lantern: Emerald Knights, which are rated PG, and Batman: The Killing Joke, Justice League Dark, Batman: Gotham by Gaslight and Suicide Squad: Hell to Pay, which are rated R.
Of the first seventeen films, most of them are set in different continuities to each other, but since Justice League: The Flashpoint Paradox most of the films are set in the DC Animated Movie Universe. If you want to read or watch more DC but don’t have the time or inclination to parse hundreds and thousands of comics and storylines. Neil Patrick Harris voices Nightwing in one, and Nathan Fillion voices Hal Jordan in several. Too condensed – its a broad comic storyline that was too much for 75 minutes. Justice League: The New Frontier was based on Darwyn Cooke’s 2003–2004 comic book limited series DC: The New Frontier where the heroes of Earth unite to take on an evil entities called the Centre. It was released on February 26, 2008. One of the most fun Justice League movies. Tying into the release of the 2008 Batman film The Dark Knight, Batman: Gotham Knight is an anthology film that tells a series of stories that take place between 2005’s Batman Begins and The Dark Knight, though it is not officially considered to be part of Christopher Nolan’s Batman film series. The film was the first to feature Batman using authentic Japanese anime from four different Japanese animation studios. It was released on July 8, 2008. A bit of an experimental thing rather than a cohesive story. The solo Wonder Woman film dealt primarily with the origin story of Diana of Themyscira and how she became the recognizable superheroine Wonder Woman. Much of the structure of the origin story was borrowed from George Pérez’s post-Crisis on Infinite Earths comics 1987 relaunch entitled “Gods and Mortals”. It was released on March 3, 2009. Super fun and its Wonder Woman! The film focuses on Hal Jordan and his relationship with veteran Green Lantern Sinestro, and their relationship as pupil and teacher, until Sinestro betrays the Green Lantern Corps. It was released on July 28, 2009. Better than the live action movie. Superman/Batman: Public Enemies is based on the first story arc, “The World’s Finest”, from the Superman/Batman monthly comic book title from 2003–2004 by Jeph Loeb and Ed McGuinness. President Lex Luthor uses the oncoming trajectory of a Kryptonite asteroid to frame Superman for the “pending destruction of the planet” and declares a $1 billion bounty on the heads of the Man of Steel and his “partner in crime,” Batman. Superheroes and super villains alike launch a relentless pursuit of Superman and Batman, who must unite to stave off the action-packed onslaught, stop the asteroid, and uncover Luthor’s devious plot. It was released on September 29, 2009. Look, its so much better than Batman v. Superman that I can forgive its flaws. Loosely based on Grant Morrison’s 2000 comic book JLA: Earth 2, Justice League: Crisis on Two Earths dealt with a heroic Lex Luthor from an alternate universe appearing to recruit the Justice League to help save his Earth from the Crime Syndicate, a gang of villainous characters who are essentially evil versions of the Justice League. What ensues is the ultimate battle of good versus evil in a war that threatens both planets and, through a devious plan launched by Owlman, puts the balance of all existence in peril. It was released on February 23, 2010. Super fun and one of my favorites! This was an adaptation of Winick’s story “Under the Hood” from 2005 in the main Batman title, featured in issues #635-641. It was released on July 27, 2010. One of my favorites, and I love Jason Todd. Superman/Batman: Apocalypse, a sequel in the Superman/Batman series. Superman/Batman: Apocalypse is based on the second story arc, “The Supergirl from Krypton”. It was released on September 28, 2010. All-Star Superman is an adaptation of Grant Morrison and Frank Quitely’s 2005–2008 comic book All-Star Superman. It was released on February 22, 2011. One of the best Superman films! Green Lantern: Emerald Knights, similar to Batman: Gotham Knight, is an anthology film that tells a series of stories featuring various members of the Green Lantern Corps. It was released on June 7, 2011. Pretty fun. But not super cohesive. The film is an adaptation of Frank Miller’s story “Batman: Year One” from 1987 in the main Batman title, featured in issues #404–407. It was released on October 18, 2011, the same day as Batman: Arkham City. One of the best possible adaptations. Justice League: Doom, a sequel to Justice League: Crisis on Two Earths, is a loose adaptation of Mark Waid’s JLA story arc, “JLA: Tower of Babel” wherein the Legion of Doom is formed to eliminate the Justice League using protocols created by Batman to take down the group should its members ever go rogue. It was released on February 28, 2012. Fine, its fun, though played pretty safe. Superman Versus The Elite is the second 2012 release and is based on “What’s So Funny About Truth, Justice & the American Way?” It was released on June 12, 2012. This one was a bit of a miss, based on a social commentary story that didn’t mesh well 10 years later. A two-part adaptation of Frank Miller’s The Dark Knight Returns was in the works. The film is set in the same continuity as Batman: Year One. Part 1 concentrated on Two Face and Mutant Gang arcs of the graphic novel and was released on September 25, 2012. Part 2 concentrated on the Joker and Superman arcs of the graphic novel and was released on January 29, 2013. This is a favorite for many people for good reason. Adaptation of the 2008 story arc Superman: Brainiac by Geoff Johns and Gary Frank, The film was released on Blu-ray on May 7, 2013. This was the first DC Universe Animated Original Movie not to be produced by Bruce Timm. Entertaining, but Superman’s animation budget isn’t as high as other heroes it seems. The film was released on July 30, 2013. So So SOOOOO well done. War was released on February 4, 2014. The film is based on Geoff Johns and Jim Lee’s “Origin” storyline. In September 2011, The New 52 rebooted DC’s continuity, and this is the first animated movie from the DC Universe based on The New 52. A mid credits scene at the end of the movie alludes to a follow up movie involving Atlantis. Mostly a big action team-up for New 52 – if thats all you expect, its good. The film is based on Grant Morrison’s “Batman and Son” storyline. The film was released on May 6, 2014. Your enjoyment of this movie will come down to how much you like or dislike the character of Damian Wayne. The film takes place in the same universe as the Batman: Arkham video game franchise. The film was released digitally on July 29, 2014, and given a physical release on August 12, 2014. Great for fans of the game. The film is based on the 2012 storyline of the same name by Geoff Johns and Ivan Reis. It is a sequel to Justice League: War. The film was released digitally on January 13, 2015, and physically on January 27, 2015. Although the Court of Owls is set to appear, Batman vs. Robin is not an adaptation of the Court of Owls storyline from the comics. Your enjoyment depends on your liking Damian Wayne – who I happen to find interesting. The movie, featuring an original plot. The film was released on July 28, 2015. A little all over the place, but fun. The story is original and not based on any comic book story. It was also revealed that the film will feature Batwoman, as well as Batwing. The film was released digitally on January 20, 2016 and on physical media on February 2, 2016. Again, depends on if you like Damian or not. Feature the Justice League and the Teen Titans. It was released on March 29, 2016. This one comes across as a lot more juvenile than many of the others here, but I enjoy it. Adaptation of The Killing Joke. The premiere was at the San Diego Comic-Con on July 22, 2016. Originally intended to be released directly on home video, the film was instead released simultaneously in theaters, on home video, and digitally on July 26, 2016, before a DVD and Blu-ray release on August 2, 2016. Fun, but a bit dragged out. An adaptation of Justice League Dark where the titular group will unite to deal with heavenly forces that the Justice League can’t handle. The Justice League will also have new members with them. The film was digitally released on January 24, 2017 and on DVD and Blu-ray on February 7, 2017. Mostly a quick origin for some New 52 characters. At the San Diego Comic-Con International in 2006, an animated film based on the comic book story arc The Judas Contract was announced. The film had its world premiere at Anaheim’s WonderCon on March 31, 2017. Teen Titans: The Judas Contract was then scheduled for release via digital download on April 4, 2017, and straight-to-DVD and Blu-ray on April 18, 2017. Fun, and surprisingly dark considering the other more kid-friendly Teen Titans titles. A new original story by Bruce Timm. The film was released on digital on August 15, 2017 before releasing on DVD and Blu-ray on August 29. A great homage to the Animated Batman series and super funny. A film based on the Elseworlds story Gotham by Gaslight. Fine, interesting but nothing super memorable. This film is the first Suicide Squad story in the DC Animated Movie Universe continuity. Although Batman: Assault on Arkham previously featured the Suicide Squad, that film is set in the Batman: Arkham video game universe.